For automobile enthusiasts, Porsche is synonymous with class and style. However, like any automobile a Porsche can break down and needs to be replaced. A dead Porsche engine or transmission is particularly devastating because, not only does it render the vehicle useless, it costs more than many other vehicles to replace. People know finding Porsche engines for sale is not always easy. 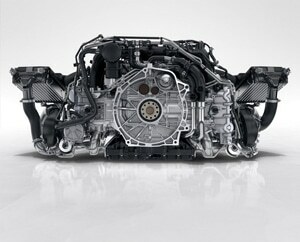 ASAP Motors is an online company that connects customers in need of used Porsche engines or used Porsche transmissions with multiple vendors. ASAP Motors compiles a list of vendors throughout the country. ASAP Motors takes the customer’s request to these vendors and they in turn offer their used engine or used transmission directly to the customer and its completely free!. The process of requesting a used Porsche engine or used transmission through ASAP Motors is both simple and quick. The customer fills out an online form detailing the make and model of their car. This is the information that is provided to the vendors. On average, the form takes between 10 and 15 seconds to fill out. It really can’t get any more quick than that. All replacement Porsche engines that are offered through ASAP Motors are rebuilt and function almost as good as new. The quality of each used Porsche engines and used Porsche transmissions is transparent and can be verified through each individual vendor. Customers can log in and submit his or her request with absolutely no commitment. So on top of only taking up a minute or two of a person’s time, there is absolutely nothing to lose on the customer’s part. So, when considering Porsche engines for sale, it makes sense to try and find the best deal possible. And no other company provides more options than ASAP Motors. Notes: MA1 engine, 5th digit of VIN=B You show a 2012 engine that may work.